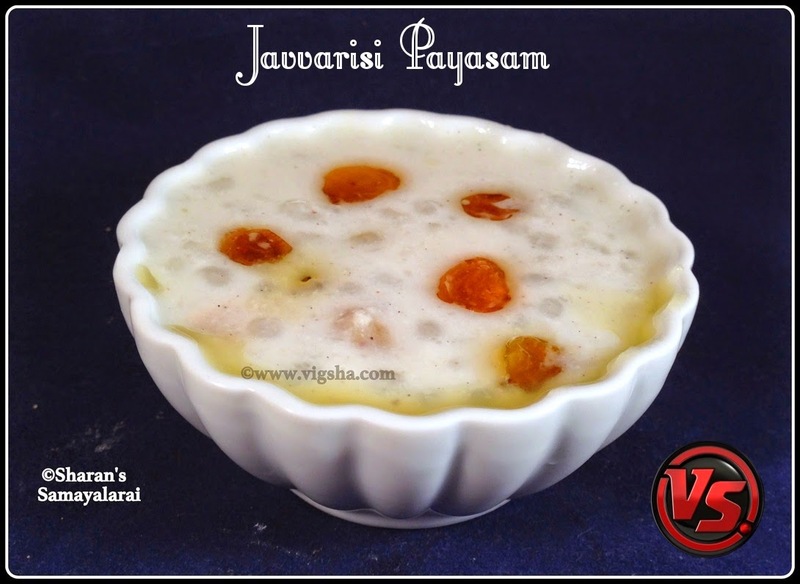 Javvarisi Payasam is an easy and authentic South-Indian dessert recipe. 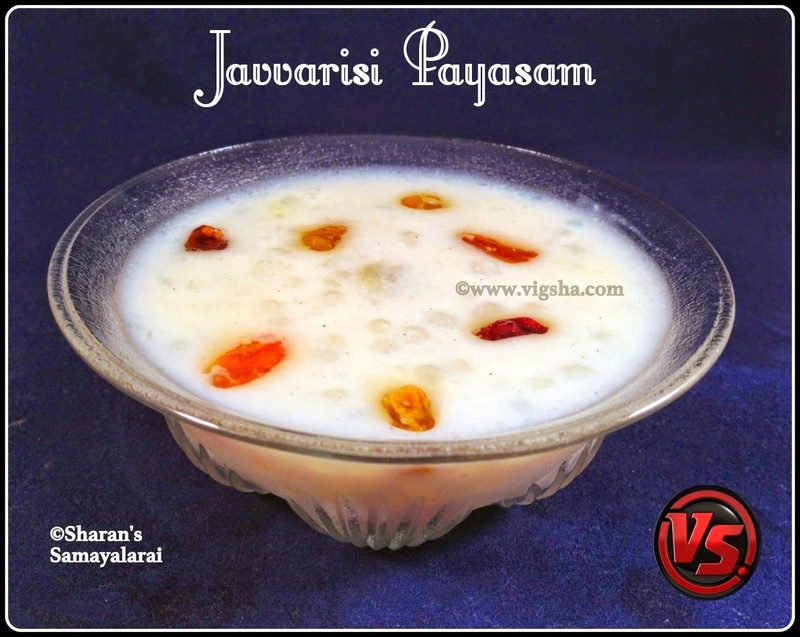 There are so many versions for preparing this payasam, I am posting my mom's recipe which is very simple. 1). 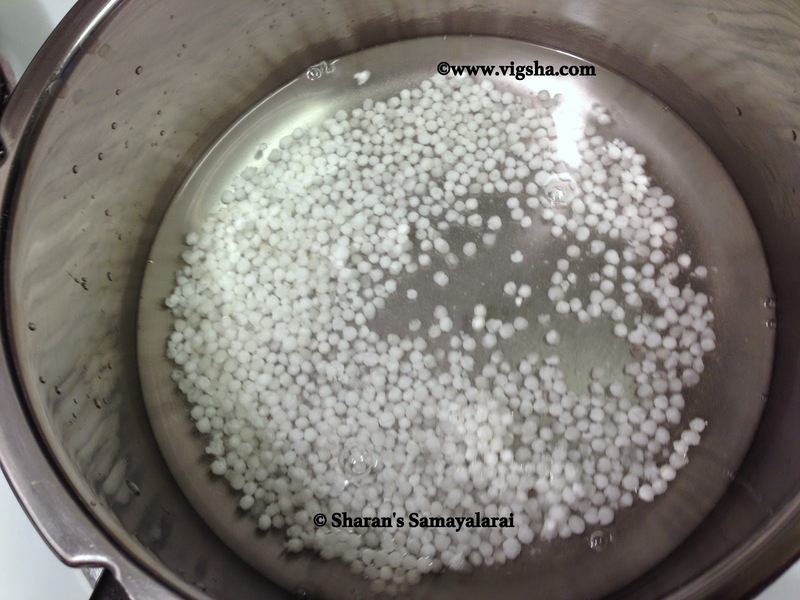 In a pressure cooker add water, cleansed sago and cook for a whistle until sago turns completely transparent and soft to touch. 2). After the pressure releases, add sugar and completely dissolve it. 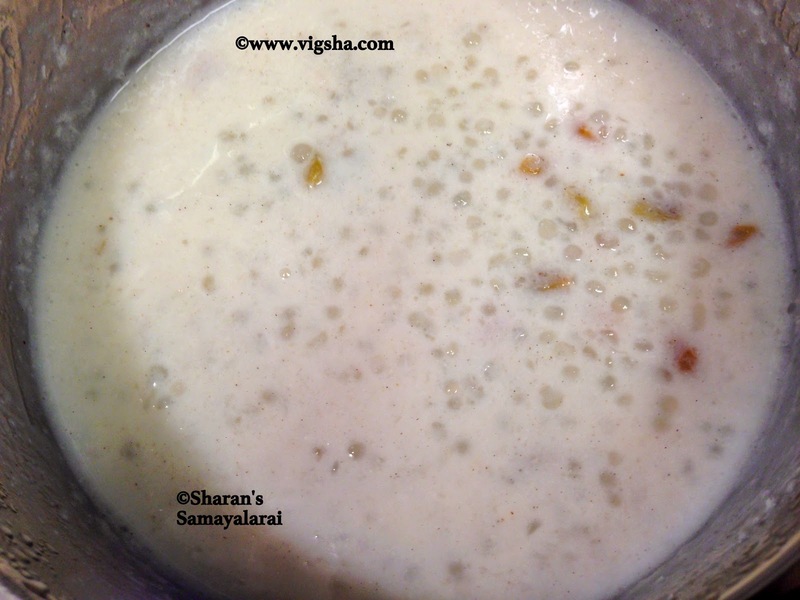 Then add milk, coconut, cardamom powder and mix well. 3). 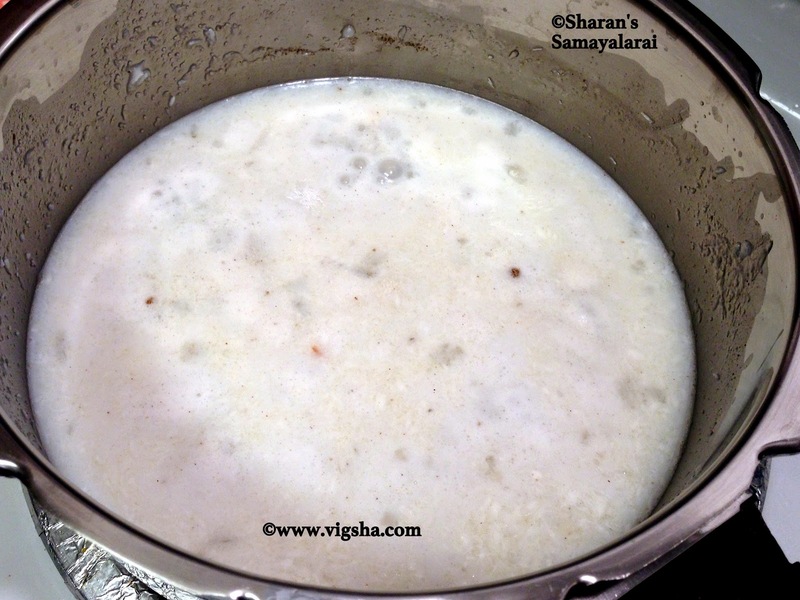 Let the payasam boil in sim for few minutes till it thickens a bit. Add the ghee roasted nuts and garnish. Done ! Switch off.. Serve warm or Chilled !! 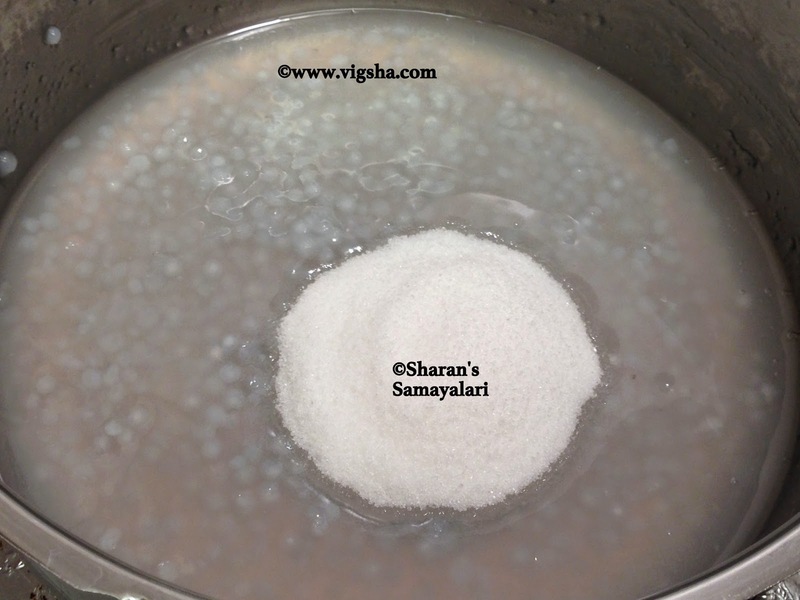 # Wash and soak sago in water for an hour, it will double in size. 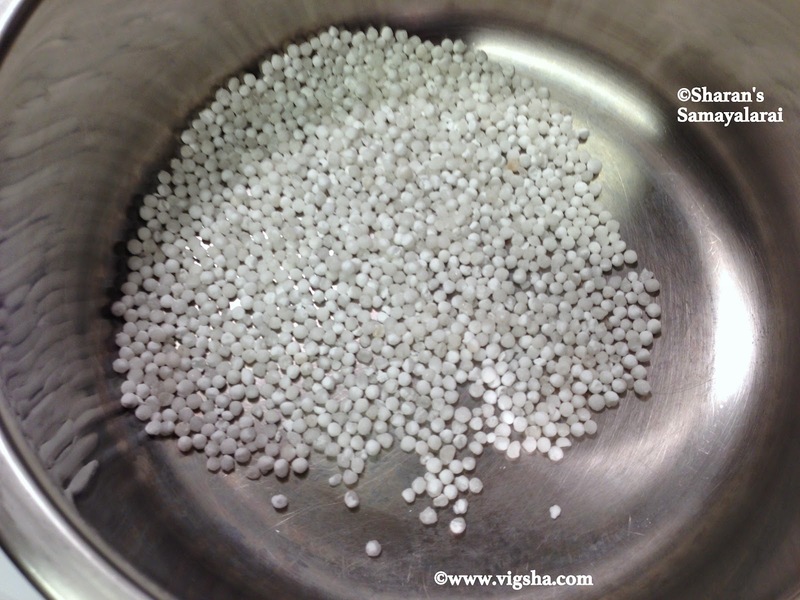 Soaking depends on the size and quality of sago. # Whole milk suits better than the low fat milk. 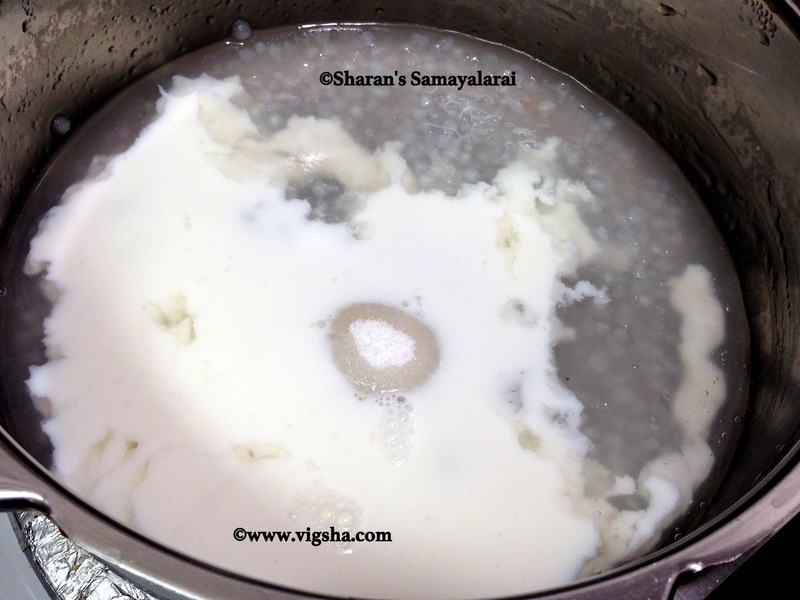 # You can also use condensed milk instead of regular milk. It will give you creamy texture and tastes flavorful. If using sweetened condensed milk, avoid adding sugar. # You can also use saffron instead of cardamom powder. Add it for garnishing along with ghee roasted nuts. 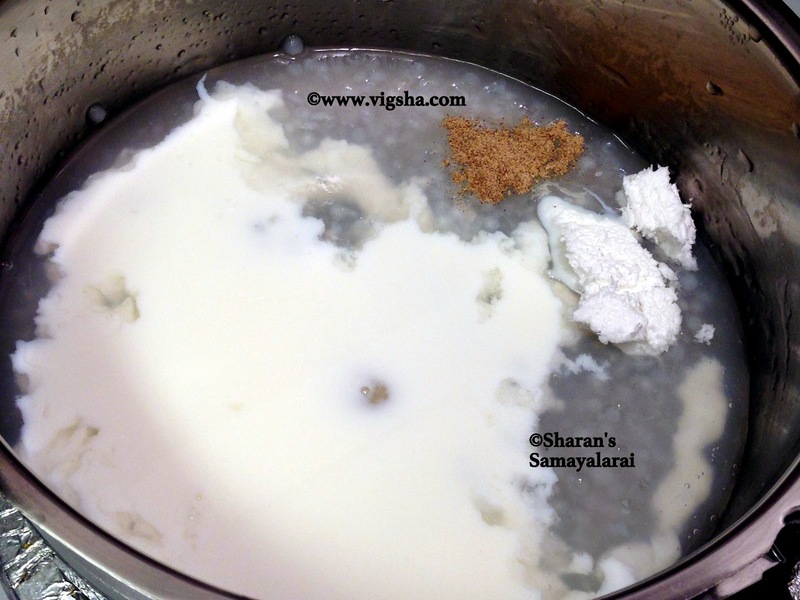 # Jaggery can be used instead of white sugar. 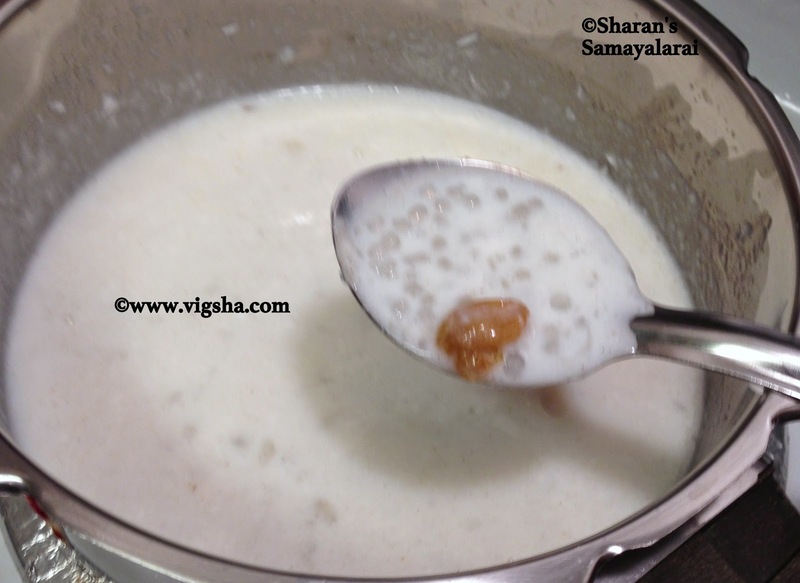 # Payasam thickens after cooling, add extra milk and adjust the consistency when serving. 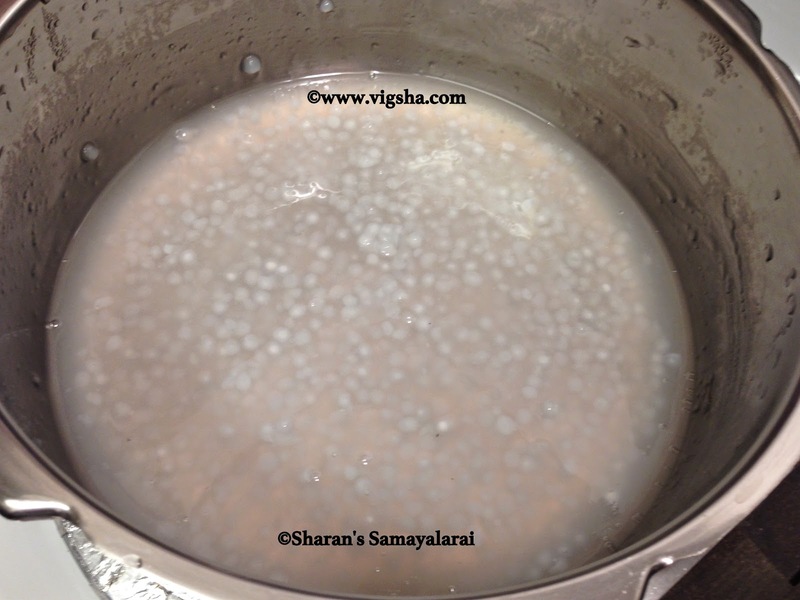 # Small or large pearled sago for this payasam.